We’ve been working on ratio and shifting up and down the stroke ratings. 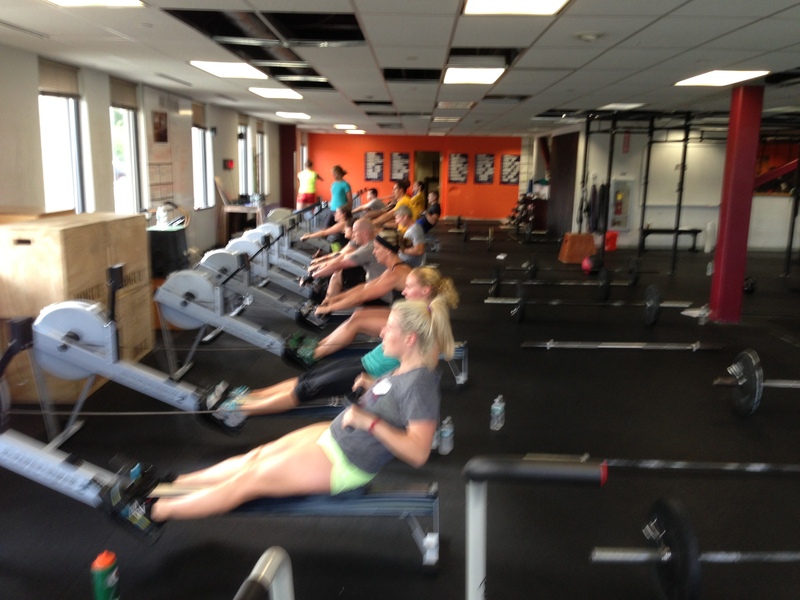 Today’s Rowing WOD is all about putting that ratio shift to work in a race situation. Whether you’re on the water or on the erg the ability to ratio shift will allow you to breathe a split-second longer and under stroke your opponents. Essentially you’ll become more efficient and be able to store up a bit of extra energy/focus to walk through someone later in the race. Keep in mind this is at race pace and will be tough to maintain as you fatigue, so stay sharp and mentally strong. Focus on squeezing with the legs and having quick hands out of the finish. When you shift from a 32 to a 30, push a little more with the legs, have quick hands, then lengthen out the slide on the recovery. Take a good breath and settle right to the 30 stroke rating. The goal should be to maintain the same split through the whole minute. Post your average split for the workout to comments. Solid Ward! Way to attack it!